Atlantis Electronics: Canadian Electronics Industry - Back on Top? Canadian Electronics Industry - Back on Top? 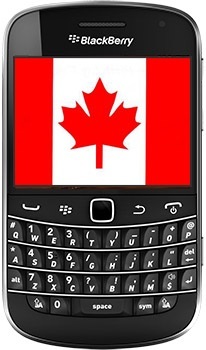 For a long time after the Blackberry bubble burst, it seemed Canada’s electronics industry was shrinking beyond repair. Back in the mid 2000s Blackberry was the future of smartphones, and with it carrying the future of the Canadian electronics market. The company was making $5 billion in quarterly revenue and it was widely assumed that smartphones just couldn’t get any better. Then Apple came along, swiftly followed by Samsung and the rest is history. Blackberry’s revenue dropped to $660 million in the final fiscal quarter of 2014-15 and with it the rest of the electronics market in Canada suffered. Exports fell 22% between 2007 and 2014. In the information and communications sector, things were even worse with exports dropping by a huge 40%. But things appear to be looking up. Bolstered by the research happening at Canada’s universities, the industry is able to move on from communications and enter into medical equipment, precision instruments and scientific equipment. By focusing on these specialist areas and moving on from communications, the electronics industry is expected to grow by an extra $3 billion by 2030 – this is up from $12.3 billion in 2014. Although imports are still outpacing exports for electronic equipment, the future is finally looking up and things are moving in the right direction for the Canadian electronics market. The automobile and aerospace industries are looking to expand, which will only further the growth of electronics, and printable electronics are also gaining significant traction here. This is all excellent news and we hope the growth continues.